Oh burgers, how I love you, let me count the ways. 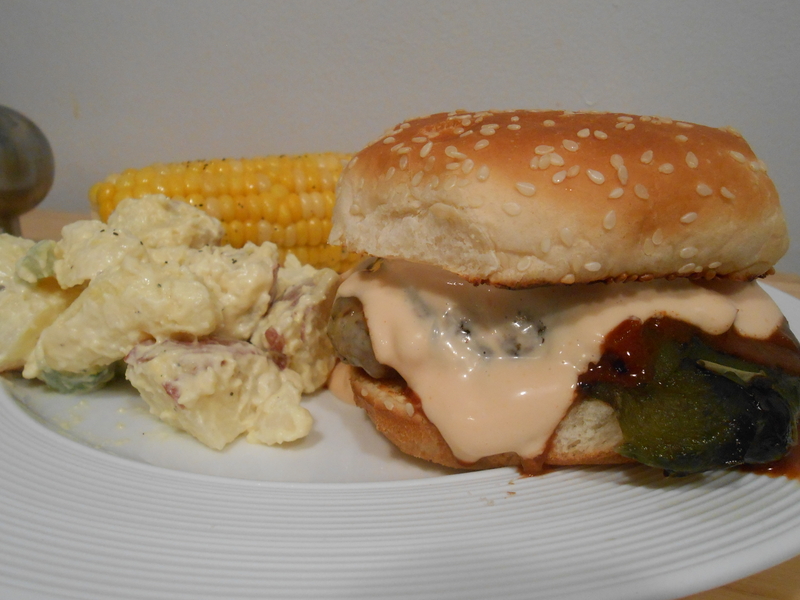 Finally with the weather looking up in Chicago there couldn’t have been a better time to make my favorite burger. This burger is a creation of many combinations I’ve tried or seen Bobby Flay whip up over the years, but is truly my favorite to make at home. 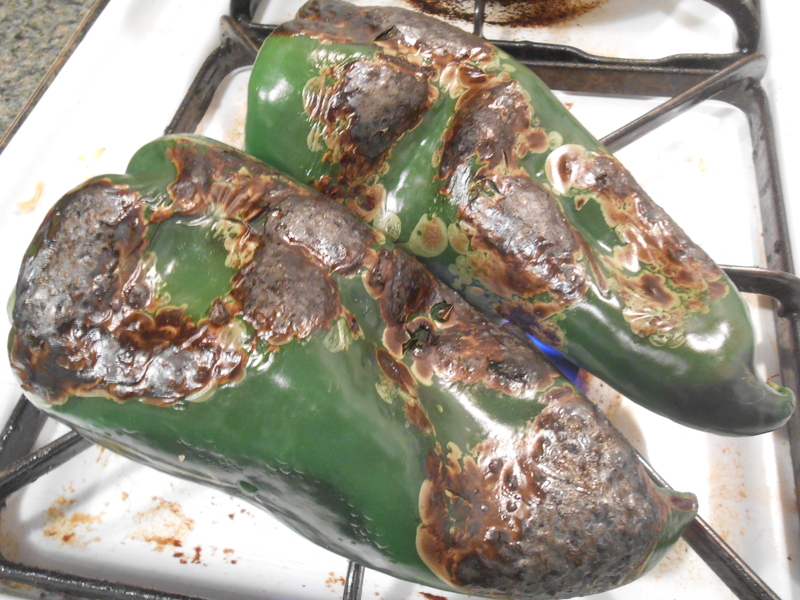 First, roast the pablano peppers on the grill (I did it inside because it was cold!). Roast them until the skin is brown and slightly bubbly, then place quickly in a plastic bag and close tight for about 3 minutes. The steam will help the skin come off. Once out of the bag cut in two halves, remove the seeds then skin the peppers using a knife – just run lightly across the skin (lay flat) and most should come right off. Then make what I like to call the ‘magic sauce’ – get ready culinary geniuses, this recipe is impressive: mix 2 parts mayo, 1 part yellow mustard and 1 part ketchup, BAM, magic. 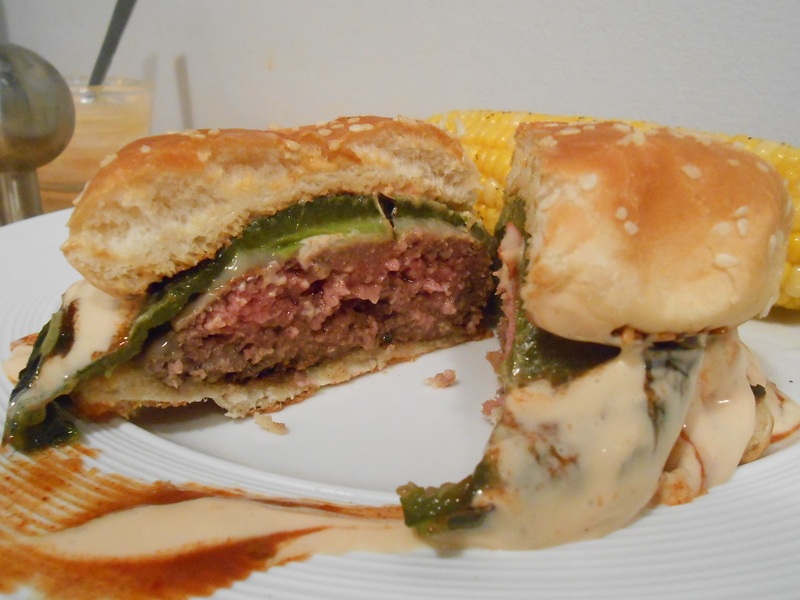 Mix hamburger with pinch of salt and pepper and any other burger seasonings you like (garlic, steak seasoning, whatever! ), and cook/grill to temperature you like, adding a slice of provolone before finishing. Assemble these bad boys on a toasty bun, top with pablano pepper, magic sauce and chili sauce. DEVOUR! *wouldn’t Ina just faint if she saw this messy picture? HA!